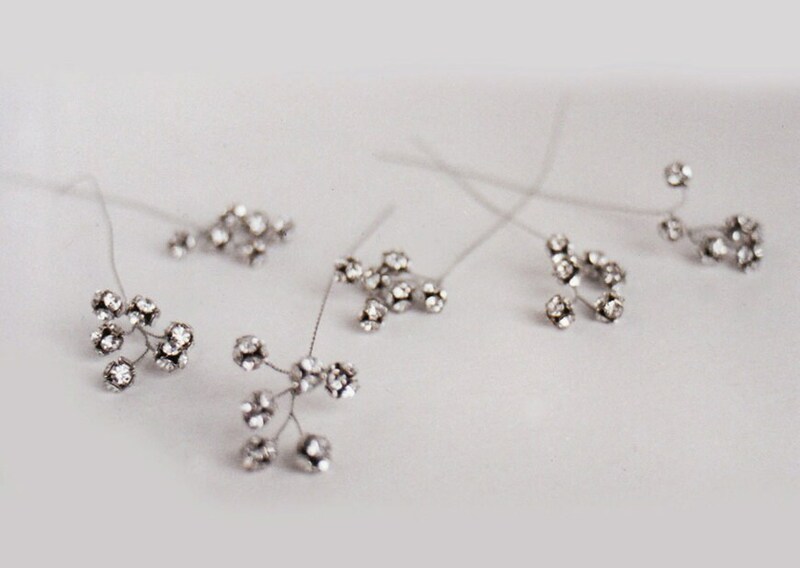 These tiny branches are made with Swarovski crystals and come in oxidized silver finish. These fun pins are bursting with sparkles and are very flexible and light for easy styling. They measure approximately 4″ long. The price includes six pieces.